✔ Compatible with iClear 30 tank. 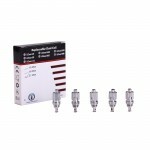 Innokin iClear 30 Coils are designed for iClear 30 tank. 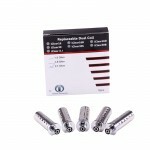 Available in 1.5ohm, 1.8ohm and 2.1ohm resistance, they will provide you with great vaping experience. ➤ 1. 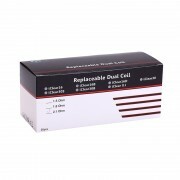 Available in 1.5ohm, 1.8ohm and 2.1ohm resistance. ➤ 2. 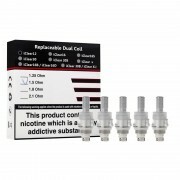 Compatible with iClear 30 tank. ❤ Please read the user manual carefully before using iClear 30 Replacement Coil Heads. ❤ Please drip a few drops e-liquid into the head and inhale a few times in power-off condition before its first use to avoid dry burn. ❤ Please don't wash the head with water. Simply scrub it with cotton or clean dry cloth.